Simultaneous to Warsaw summit, the Iranian opposition rally in Warsaw was held in support of democratic change in Iran and to voice the Iranian people’s quest for a secular and democratic Iran. The key members of the international community have attended the Warsaw summit whose focus is on Iran and its destabilizing role in the Middle East. 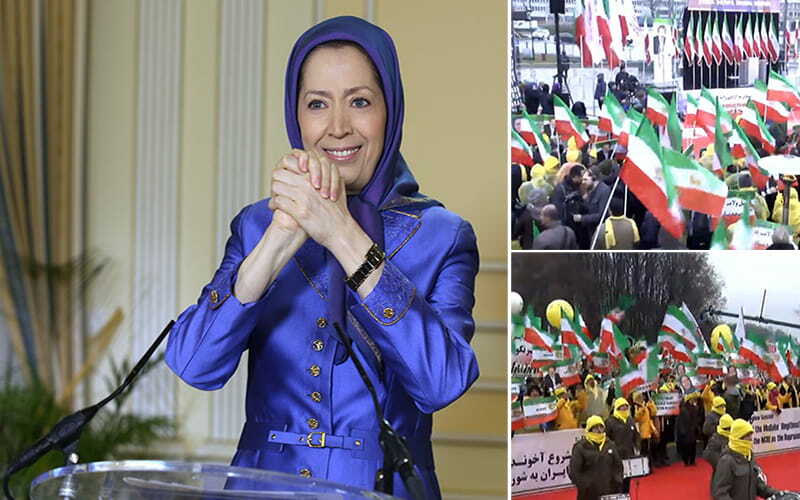 The supporters of the organized Iranian resistance, National Council of Resistance of Iran (NCRI), led by Mrs. Maryam Rajavi, urged the Warsaw summit to recognize the Iranian people’s right to overthrow the despotic autocracy regime ruling Iran and to establish a free republic. Former New York Mayor Rudy Giuliani, former Algerian Prime Minister Sid Ahmed Ghozali, former US Senator Robert Torricelli; Marcin Święcicki, a Polish MP and former Mayor of Warsaw, and several Polish Members of Parliament and Senators were among scheduled speakers of the rally. “You have come together today to convey to the World Summit in Warsaw the voice of the people of Iran yearning for freedom and democracy. You are the voice of Iranian protesters calling on the world to break their silence over the abuses of our nation’s rights. The pain of our political prisoners in Khamenei’s dungeons, the sufferings of our Kurdish, Turk, Balochi and Arab compatriots, and the stifled desires and hopes of Iranian women, youths, workers, farmers, teachers and students are resonating in your cries. Former New York Mayor Rudy Giuliani made a speech to the Iranian opposition rally in Warsaw: “It’s a great honor for me to be here with you to make a very important point to the government officials attending the Warsaw Summit. In order to have peace and security in the Middle East, there needs to be a change of the theocratic regime in Iran. It must end. The Iranian regime is the greatest source of dissension. I commend Maryam Rajavi for her courageous leadership in her struggle for a free and democratic Iran. The Ayatollah’s regime is the number one state sponsor of terrorism not only in the Middle East but in the whole world. For 70 years, the Polish people did not negotiate with their oppressors. They didn’t hope for change. They didn’t accommodate their loss of freedom. They never gave up the idea that Poland would be free. Today we come here to demand the same for the Iranian people. Well, we congratulate those nations represented here today to discuss the future of the Middle East and Iran. We all speak to those nations that are not here. We understand your desire for accommodation and reconciliation, but there comes a time in life when reality must triumph over hope. We have tried to negotiate with Tehran. There have been negotiations with Tehran. We have hoped for for last 40 years and they have answered us with terrorism or oppression and death. The thousands of martyrs in Iran lying in their graves are a testament to the fact there is no negotiating with this regime. The regime must end now. A government that murders its opponents, cannot be trusted to respect the nuclear agreement. A murderous regime cannot be a trustable regime. 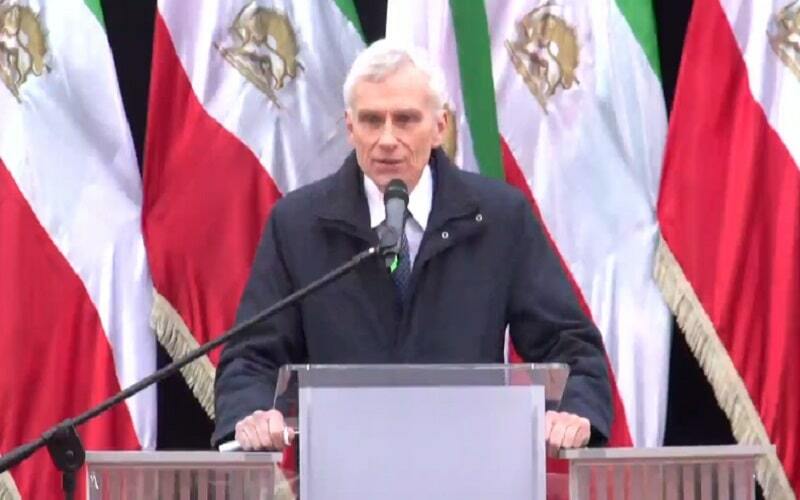 Senator Ryszard Majer, the prominent member of the Polish Senate, addresses the Iranian opposition rally in Warsaw: “We respect freedom and solidarity. Are those values important to you? Yes, every nation needs freedom and solidarity, freedom to decide for themselves. Also in Iran freedom for Iranian people is necessary for the entire world. As a Pole, I understand this. For many years there was no freedom of assembly, no freedom of speech, for all of those who wished for change. Today I admire all of the efforts of Mrs. Rajavi who works for solidarity and well-being in Iran. 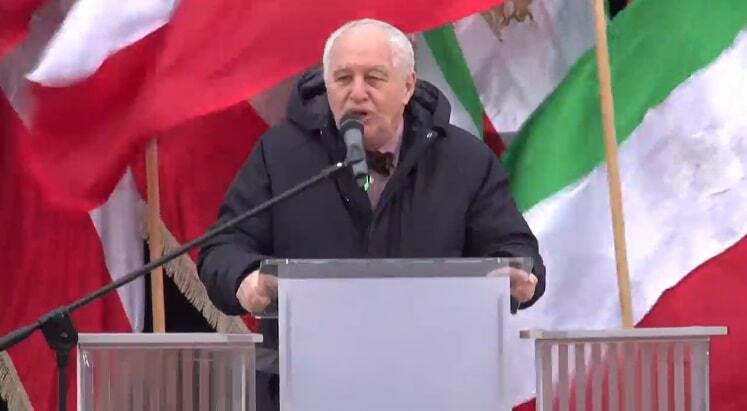 Mr. Zbigniew Cichoń, a member of the Polish Senate from the PIS party, addressed the Iranian opposition rally in Warsaw: “As Polish people, we have previously experienced a regime that had oppressed people. We have become a sovereign state. We have a lot of very good ties with Iranians going back to WWII when you hosted our army that was leaving the Soviet oppression and going through Iran to fight the fascists. As a nation, you have a right to fight. This is a dream that will soon become true. It will become true because our dream in Poland became true. 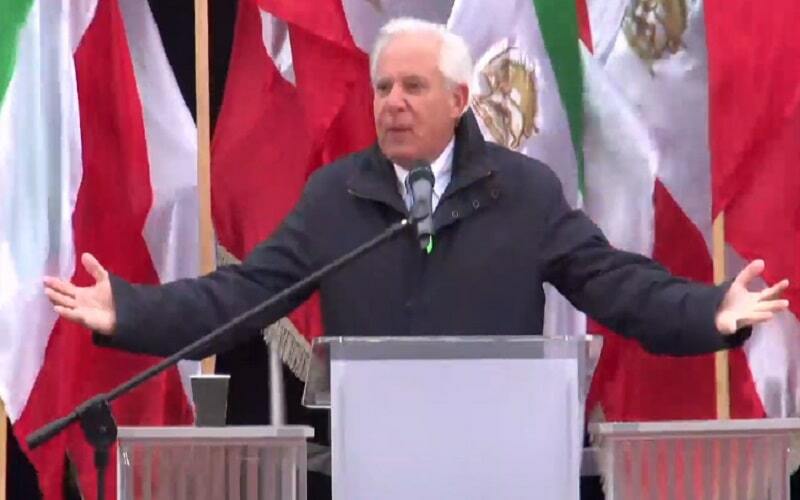 Mr. Javad Dabiran, the member of the Foreign Affairs Committee of the NCRI, addressed the Iranian opposition rally in Warsaw: “Forty years after the downfall of the Shah’s dictatorship, it is time for the overthrow of the mullahs. This regime has brought nothing but misery and corruption and death and killings. So, it is time they go. 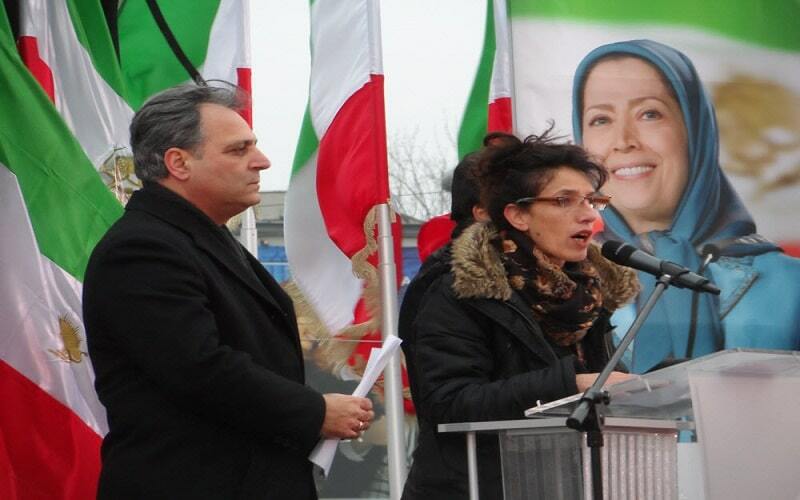 They have only faced one strong opposition, that of the MEK (PMOI). Forty years ago, the slogans were freedom, democracy and independence. Today the people of Iran are repeating the same slogans. In the past four decades, the people of Iran have risen up. 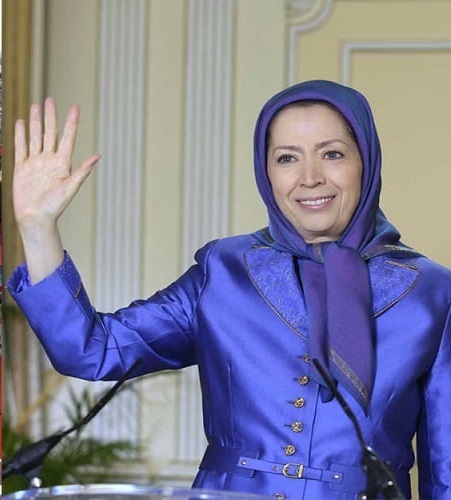 We have gathered here to declare our full support for NCRI President-elect Mrs. Maryam Rajavi, the People’s Mojahedin (MEK) and its “Resistance Units” inside Iran. Mr. Matin Doustmohammadi, as the representative of the Iranian youth associations in Europe, addressed the Iranian opposition rally in Warsaw: “We had 40 years of repression. But I am proud that in these 40 years, the MEK and their supporters continued their Resistance. I salute the MEK’s “Resistance Units” inside Iran that are leading all the protests. The regime is not paying any price for its crimes. If the Western government want to respect their own laws, they should arrest the regime’s agents and put the IRGC on the blacklist and expel the diplomat-terrorists of this regime. We are here also to support Mrs. Maryam Rajavi’s 10-point plan for freedom and democracy. On behalf of the Iranian communities in Europe, Mr. Homayoun Sim-Laqaee addresses the Iranian opposition rally in Warsaw: “The People’s Mojahedin Organization of Iran (MEK/PMOI) and NCRI are the only movements with a clear plan for freedom and democracy in Iran as they are reflected in Mrs. Maryam Rajavi’s 10-point plan. This reflects the freedom and democracy that we want for the Iran of tomorrow. The fake ‘alternatives’ to the regime that have been formed by the Iranian intelligence ministry only aim to discredit the MEK, but they will not lead anywhere. The time has come for the downfall of the mullahs with the leadership of Mr. Massoud Rajavi, the leader of the Iranian Resistance. We call for the IRGC and MOIS to be placed on the EU and US blacklists. This is the demand of every Iranian. Following the speeches, the participants in the Iranian opposition rally began their march in the streets outside the Warsaw Summit. Growing support for the Poland summit is causing fear among Iranian regime officials. While the summit is officially called “Ministerial to Promote Peace and Security in the Middle East,” unofficially, it has been described as a prelude to creating an international coalition against the Iranian regime and one of the announced goal of the conference is “making sure that Iran is not a destabilizing influence,” in the Middle East. Our request is the same as Mrs. Maryam Rajavi. This whole regime must be boycotted in its entirety.